This spectacular Pryanco chime is named for twin peacocks cast in aluminum on the cover. 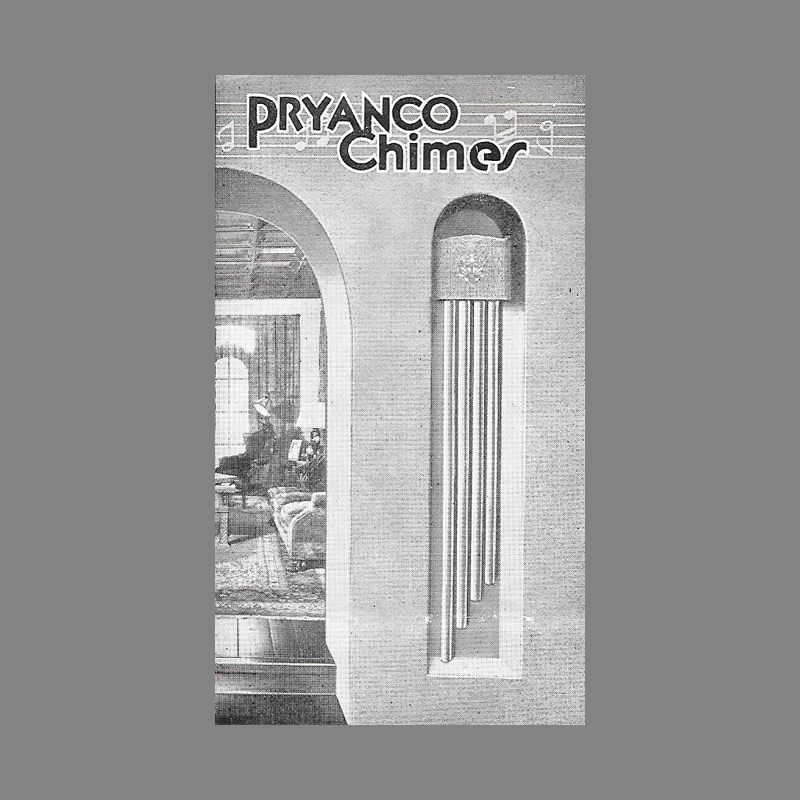 This chime was manufactured by the Pryanco Electrical Specialties division of Pryne & Co of Los Angeles, California. 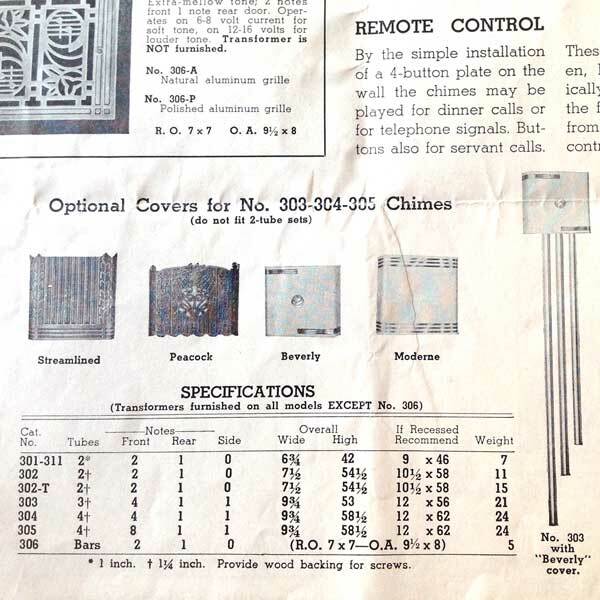 Pryne was a major player in the door chime business, particularly in California. Pryne was acquired by Rittenhouse, in the 1950s. The 303, 304 and 305 series mechanisms were all motor driven multi-note door chimes and are particularly well made. The 303 played on three bells, while the 304 and 305 played on four bells. The 304 played a four note Westminster melody while the 305 played the eight note sequence. Two cast Aluminum covers were available for this series including the cast Peacock shown here. In addition, Pryanco’s motor driven chimes could be fitted with two stamped steel cases. Coincidentally, one of the steel cases was branded as the “Beverly” which was the same name marketed by Rittenhouse for a three note resonator chime starting in 1940. This chime was mechanically restored by ElectraChime. The center mirror is a reversible modern addition. The original patina on the bells and cover were preserved. Materials Cast Aluminum Cover. Brass Bells. Dimensions 9 3/4 inches wide, 58 1/2 inches tall.